UK citizens who hold a full UK passport can travel to Denmark visa-free. 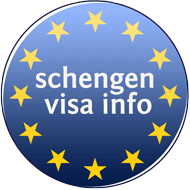 On the other hand, many non-EU nationals who reside in the UK are still required to get a Schengen visa to travel to Denmark. In recent years, following visa liberalization policies for non-EU countries, the number of countries whose nationals require visas to travel to Europe has slightly dropped. Here is the list of nationalities that are still required to get a Schengen Visa to visit Denmark and other Schengen states. Stat: As per 2016, Denmark has issued a total of 133,702 uniform Schengen visas from 145,143 applications received. Below you can find more information on applying for a Denmark visa from the UK. Who needs a visa to visit Denmark? not a family member of an EU/EEA national. Please click here for more information on Family members of EU or EEA Nationals and note that family members of a UK national will need a visa. a citizen of a country listed on this page. Who can apply for a Denmark Visa from within the UK? Citizens of these countries residing in the UK and planning to visit Denmark are required to get a Danish visa in order to be able to enter Denmark. The main requirement is that you must have a UK residence permit valid for at least another three more months beyond the date you plan to leave Denmark / the Schengen Area. Use the Danish Schengen visa eligibility checker tool to find out if you qualify to apply for a Danish visa from the UK. If you have a 3 month UK visa you can extend it for three more months in order to be eligible to apply for a Danish Schengen visa from within the UK. You must apply for an extension before your visa expires and while you’re still in the UK. Find out more on how to extend your UK visa. In case you plan on staying in Denmark for more than 90 days you must apply for a Denmark residency permit, not a Denmark Schengen visa. Please note that if you are not a resident in the United Kingdom you should apply at the Danish Embassy/Consulate/VAC in your country of residence. Your passport will be valid for at least three (3) months after the date you exit the Schengen Area. Saudi nationals must produce their ID card with translation into English in addition to their passport. The UK residence permit must be endorsed in the actual passport (or on a new biometric ID card). The UK residence permit must be valid for at least another three more months beyond the date you plan to leave Denmark. One Danish visa application form. Filled out completely and signed by the applicant. You can also apply via 3rd party websites like this one here. You have to pay an extra fee for their services, but they will also help you with Appointment booking, Documents checking, Visa application as well as with Visa and Passport collection. For more information, please click here! One photo, which must be glued on the application form. Applications with stapled photographs will be rejected. Copy of the passport bio page where the photo is included. A cover letter explaining the purpose of the visit to Denmark. Proof of travel arrangements: Round trip flight/travel reservations or other proof of intended transport and complete itinerary of your visit to Denmark (if several Schengen States will be visited or if the trip covers several Schengen States and non-Schengen countries). Schengen Travel Insurance stating that you are covered in case of a medical emergency and repatriation not just in Denmark but in the whole Schengen zone (minimum coverage of € 30,000). £60.00 per person per day if you are staying in a hotel. £40.00 per person per day if you are staying in a hostel or similar. £20.00 per person per day if you are staying with family or friends (even when your host has confirmed that he/she will be covering your expenses) plus funds for a return ticket to your country of residence. Note: Cash is not considered proof of financial subsistence. Note: Photocopies of the original documents should also be submitted and documents should not be more than one month old. The documents listed above are documents required in all cases, regardless of the purpose of your visit in Denmark. Parents or a an adult guardian are required to accompany their under-age children at the application center at the Embassy of Denmark in London. Also, minors who are granted a Denmark visa are not allowed to travel to Denmark by themselves. They should be accompanied by an adult during their stay in Denmark. A school attendance letter issued by the Head of School. How to apply for a Denmark Visa from the UK? IAM’s visa advisors will contact you as soon as possible to confirm the suitable date and time for you to attend the visa processing center in the UK. 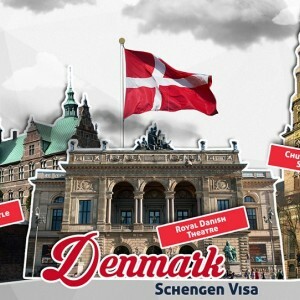 They will fill in an Application Form for Denmark Schengen visas online to secure your appointment and send it to you together with a complete list of requested documents and the confirmation of your appointment. The IAM’s team will assist you in collecting the required documents and checking your prepared application to make sure your application has the highest possible prospect of success. If you cannot collect your passport yourself, IAM’s representatives can arrange for collection. Alternatively, you may choose to have your application sent back by registered mail when you make your visa application. For more information, please click here or start the visa application by filling the form online here! You can apply for a Norway Schengen visa 90 days before your planned trip. Usually the visa application process takes approximately 10 days after the Embassy receives the application, therefore you are advised to apply well in advance of your planned trip. You are required to submit a complete application as applications with missing documents can be refused. *Note: This only applies to those nationals who do not hold a biometric passport. Note: Keep in mind that these fees may change depending on currency fluctuations and can be paid only in UK Pounds. Payments can be made in cash and by credit or debit card. Will I get my visa at the end of the process? No, you are not guaranteed you will get a visa despite the fees you paid. Also, you should keep in mind that all fees are non-refundable. Should you decide to apply after your visa is refused you will have to make those payments again. What can I do my Danish visa application in the UK is refused? If your visa is refused you can apply again at any time. However, you should pay attention to the refusal reasons mentioned in the letter of refusal in order to make amends where needed. You can also appeal against the decision within three weeks from the day the decision is made. The appeal must be sent in writing to the Embassy of Denmark. The letter must be signed by the applicant in order to be taken into consideration. Can I get my visa on the same day that I apply? Normally, your visa cannot be issued on the same day that you apply. However, in cases of extreme medical emergency, you are able to obtain a Denmark visa on the same day you apply. You should keep in mind that the Embassy has the final word on this matter. How can I extend my Denmark visa? You are unable to depart Denmark due to unforeseen circumstances that directly affect travelling. Note: You can only apply for an extension of your Denmark Schengen visa if the combined duration of stay in the Schengen area is not more than 90 days within a period of 180 days.